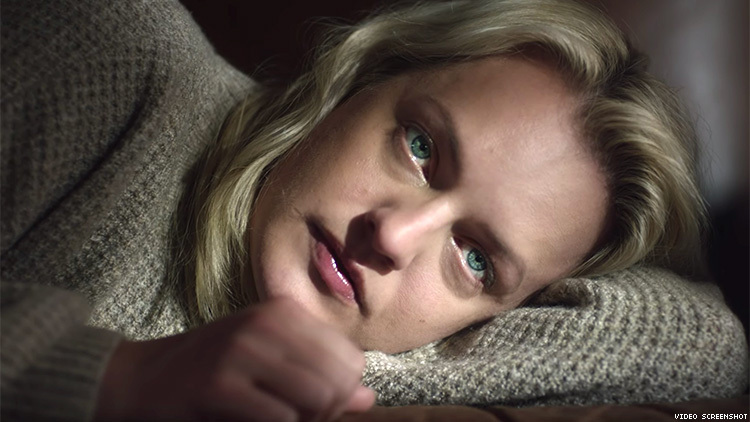 Emmy winner and star of The Handmaid’s Tale, Elisabeth Moss appears in the heartrending video for Brandi Carlile’s "Party of One," off of her Grammy-nominated 2018 album By the Way, I Forgive You. The video, directed by Bérénice Eveno and created entirely by women, stars Moss and relative newcomer Nicole Disson in a story that chronicles the ups and downs of a lesbian relationship. And Carlile knows a little something about queer domestic life considering she married Catherine Shepherd in 2012 and they have two daughters. Recently, Carlile, who performed at Joni: 75, a star-studded concert for Joni Mitchell’s 75th birthday in Los Angeles, conceived of the lyrics for "Party of One" while listening to Mitchell’s unparalleled 1971 album Blue, she told Rolling Stone Country. Early on the process of creating the video, Carlile knew that she wanted Moss —who rose to fame on Mad Men—and she essentially courted the sought-after actress. “When I thought about making a video for ‘Party of One’ I couldn’t stop picturing Elisabeth’s face. I believe she is the absolute best actor out there right now, no one has ever impacted me so much without saying a word,” Carlile said in a release for the video. “I never even asked anyone else. I sent Elisabeth a letter and she called back and suggested creating a love story about two women and using a female crew. A brilliant group of women are responsible for every part of this incredibly human love story and I’m more proud of it than anything visual I’ve ever done," Carlile added.